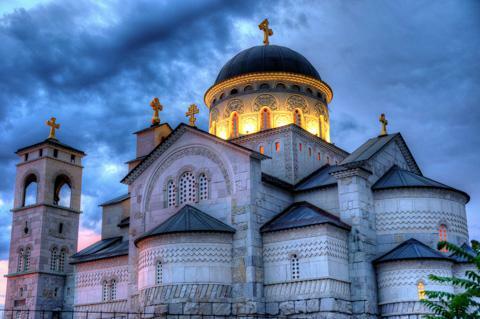 How much does it cost to travel to Podgorica? How much money will you need in Podgorica? The average price of food for one day is €7.00 ($7.87). Additional pricing is in the table below. These average travel prices have been collected from other travelers to help you plan your own travel budget. Podgorica is Montenegro&apos;s capital city, and also its largest. Dating back to the Ottoman Empire, World War II destroyed much of this history, but there are a few Turkish remnants worth visiting. Podgorica&apos;s central location often makes the city a good starting point for day trips to coastal cities or mountain resorts. Though many use the city as a home base for visiting other Montenegrin destinations, there are a few sights within the city itself worth a visit. One historic landmark that remains is Skaline, which is home to the ruins of old Nemanja’s town and an old Turkish bridge that crosses the Ribnica River. Other historic waypoints include the 10th century St. George’s church on the slopes of Gorica hill, for which the city was named, as well as King Nikola&apos;s Palace, which was the seat of the Montenegrin Royal family and is now a museum. There are also a number of monuments and memorials, and the more modern Millenium Bridge that crosses the Moraca River. As far as day trips go, there are many options within reasonable distance of the city. Skadar Lake, for example, is just 20 minutes south of Podgorica. It is the largest lake on the Balkans and a national park with opportunities for hiking, boating, swimming, and bird-watching. North of the city, visitors can see the Moraca River canyon, the 13th-century Moraca monastery, or the 17th-century Ostrog Monastery and pilgrimage site further north. There are ancient ruins at Doclea (or Duklja) and Meteon (or Medun), and the nearest coastal beach town is Bar. Podgorica has several hubs of activity depending on the season and time of day. Old Turkish town, also called Stara Varo, is one such place where what little remnants of the Ottoman Empire still stand. Here the most prominent landmark is the old clock tower. Others include two mosques and a Turkish "kasaba" (town) with narrow, winding streets. This was once the city center until European integration shifted the core to an adjacent bank of the Ribnica River where Nova Varo (New town) is now considered to be the city center. Hercegova?ka is the main pedestrian street in the new city center. It is parallel with Trg Nezavisnosti, the central square of the city, which especially comes to life at the end of the day when locals are finished with work. The square is bordered by Ulica Slobode to the east, and Njegoeva ulica to the west, which are both newly renovated pedestrian zones, with Ulica Slobode also being a popular shopping street. To the north and the south, the square is bordered by Bokeka and Vu?edolska streets, respectively. A pedestrian passage connects the square to Podgorica’s City Hall and the Montenegrin National Theatre building. Rimski Trg is another bustling square and meeting place with plenty of trendy restaurants and cafes. Podgorica itself is a fun place to experience Montenegrin city culture. There are plenty of pedestrian streets and squares, with restaurants, bars, and trendy cafes, which especially come to life in the evenings. The city is also a hub for transportation to other parts of the country, making day trips a very common activity once visitors have experienced the city. Closer to the coast, Montenegrin cuisine largely consists of fish and seafood with fresh catches like prawns, mussels, clams, shrimp, and octopus, typically garnished with polenta, blitva (a kind of spinach), or broiled potatoes. Fish is also often dried. Further inland, meat is more popular with selections of mutton, pork, beef, and poultry used in a variety of dishes. Meats are often served with vegetables and Kajmak (a kind of clotted cream made with sheep&apos;s milk). Being a major city, with connections to both the coast and towns further inland, Podgorica boasts a wide variety of all kinds of national dishes, as well as international selections. Outdoor cafes are especially popular where visitors and locals alike enjoy espresso, cappuccino, or coffee with their favorite sweets. Some of the local desserts include pala?inke (a large pancake filled with jam, chocolate or cream), baklava with raisins and walnuts, krofne (doughnut filled with jam or chocolate), and a cream layered cake called krempita. By plane, Podgorica Airport is Montenegro’s main international airport, located about 12 kilometers south of Podgorica. It serves as a hub for Montenegro Airlines, the national carrier, which flies to major European destinations. From the airport, buses operate to and from the city, though taxis are more readily available. There is also a train station near the city center with service from Subotica through Novi Sad and Belgrade. The bus station is located next to the train station and operates buses to many domestic locations as well as major cities in neighboring countries.